Beautifully renovated colonial home has been lovingly maintained and cared for by the current owners. You will be WOWED as soon as you enter this home by the gorgeous views! Complete gourmet kitchen renovation with top of the line appliances and open vaulted sunroom addition make this home great for entertaining! Freshly painted, new carpet and recent updates to all major systems. Beautiful bathroom renovations have taken place with travertine, marble and granite. This 4 bedroom home has gleaming hardwood floors and sits on peaceful treed lot. The 2+ car garage has been freshly painted including the floors and there are brand new attic stairs installed! The driveway has been extended all the way to the freshly painted shed for gardening. 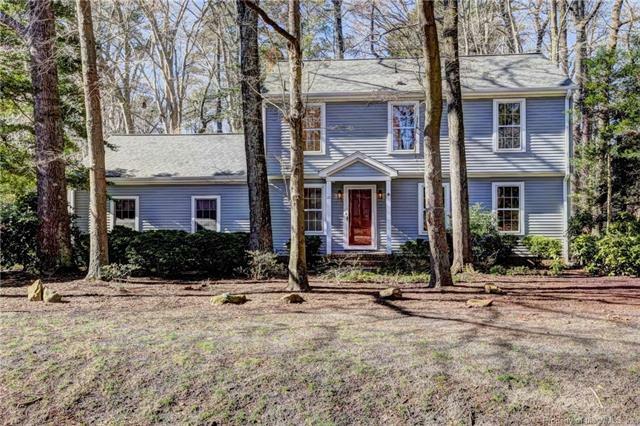 Lorna Doone is a loop so it is a quiet street with no through traffic, but close to all that York County offers including excellent school system, as well as easy interstate access. This home conveys with a one year home warranty! Grafton Bethel Elementary School Elementary School / Public 8 0.7 mi. Grafton Middle School Middle School / Public 8 1.96 mi. Grafton High School High School / Public 8 1.87 mi. Mount Vernon Elementary School * Pre-School, Elementary School / Public 10 1.28 mi. Holloman Child Education-Dev of York * Elementary School, Middle School, High School / Private N/A 1.13 mi. York High School * High School / Public 7 1.11 mi. 111 Lorna Doone Drive, Yorktown, VA 23692 is a 4 bedroom, 2.5 bath single family home was sold for $365,000 by Wendy Walker in the Williamsburg real estate office.